This centre offers a fantastic space that benefits from a central location. The property is in the heart of Exeter's business district, just a ten-minute walk from Exeter Central Station. Tenants can access the stunning Grade II listed building 24-hours a day and make use of the fibre optic internet and WiFi throughout the property. There is a dedicated on-site manager there to assist you during business hours and offer administrative services. This business centre has purchased another building on the Sowton Industrial Estate that they have refurbished to provide flexible and affordable office space with 80 desks. Designed to a high specification with special attention paid to the IT services. A business centre offering high quality, fully serviced and furnished offices on flexible leasing terms. Set in well maintained landscaped surroundings with a car park. There is a staffed reception area and meeting room facilities. 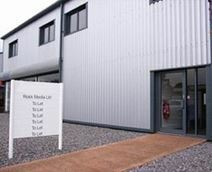 Located in Exeter Business Park, just off junction 29 of the M5, and minutes’ from the airport. Pinhoe Railway Station, offers a direct services into Exeter and also to London Waterloo. A brand new business centre with a variety of top quality, fully furnished offices. Meeting rooms and a kitchen area are available, as well as a break-out area, office cleaning and parking. Located in the Marsh Barton Trading Estate, to the south of Exeter city centre, the space is conveniently located for the M5 and Exeter International Airport. Exeter City Centre, with a range of facilities and attractions, is just two miles away. The centre is accessible 24-hours a day. This property comprises high quality, fully furnished office space in a variety of sizes. A virtual office package is available, and secretarial support is offered to actual tenants and virtual officeholders. The centre is located to the south of Exeter city centre, a short drive from the M5 motorway. The centre offers a range of attractions, such as a stunning cathedral, and lots of great places to eat and drink. This centre, spread over six floors, is situated in the heart of Exeter close to the city's main station and shopping centre. With dedicated meeting rooms, a dedicated reception area with onsite business manager, shower facilities, a shared kitchen facility and lift access, this is an ideal place to expand your brand. Rates are inclusive including gas, electricity, business rates and internet, though tenants are advised to sort their own telephone package. Modern offices available in this fully refurbished Grade II listed city centre property. There is a meeting room and on-site car park, with ample public parking in the vicinity. Exeter Central station, serving London Paddington in less than two and a half hours, is a very short walk away. There are straightforward road links to the M5 and airport. Modern offices available in this fully refurbished Grade II listed city centre property. There is a meeting room and on-site car park, with ample public parking in the vicinity. Exeter Central station, serving London Paddington in less than two and a half hours, is a very short walk away. There are straightforward road links to the M5 and airport. The work space is surrounded by places to eat and drink. A business centre providing well appointed, air-conditioned offices in a variety of sizes. Meeting rooms are available, along with a range of support services. 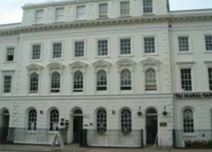 The city centre property is within walking distance of Exeter Central train station. It is also conveniently located for access to Exeter International Airport and the M5 motorway. Exeter is a fantastic location for your business to be located, as one of the most pleasant destinations in the UK. This newly built business centre offers a large range of offices and studio workshops on flexible leasing terms. There is a stylish reception area and comprehensive meeting room facilities. A virtual office package includes access to meeting rooms in other locations. The centre is within the Marsh Barton Trading Estate, close to the M5 and A30. Exeter city centre and international airport are easily accessible.